Back Thru The Future is in its 29th year as a computer recycling business with over 1000 clients located through out PA, NJ, NY, CT. We are one of the oldest and most experienced electronic recyclers in the US. We are both a US EPA and NJ DEP licensed universal waste destination facility for the processing of electronics. 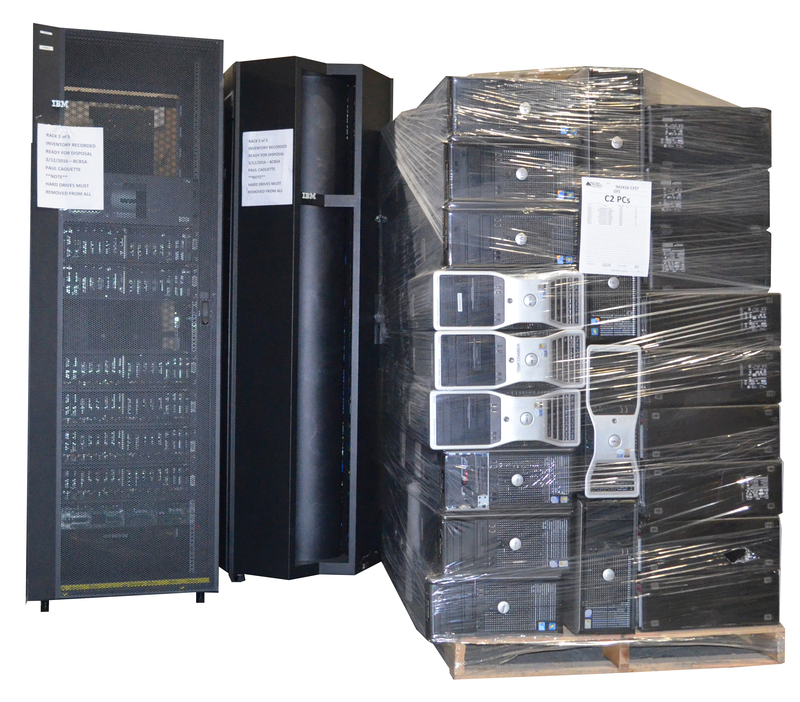 We are one of only a handful of licensed computer recyclers in the US that is also a NAID AAA certified secure data destruction business for both plant based and mobile hard drive shredding. Our environmental compliance and data destruction compliance certificates are legally valid documents in all 50 states including PA.
We own all of our custom designed secure onsite hard drive shredding and transport vehicles. Our onsite personnel have passed extensive background checks and have successfully passed our rigorous 6 month technical training process. We bring a high degree of professionalism to every project. 92% of our quality control questionnaires returned by new clients tell us that we exceeded their expectations. All of your project documentation is digitized and available 24/7 from our cloud based document archive “Compliance Library” This archive not only contains every project’s required compliance documentation but also all chain of custody documentation as well as email correspondence for the projects. We also provide a “Totalizer” tool for Y-T-D statistics by device types for management reports. We ask that you compare our qualifications found in our menu above RESOURCES/CERTIFICATES & LICENSES with those of any competitor. Today most of our computer recycling projects include onsite hard drive shredding. Many of our clients are requesting the shredding of all mobile technology as well as communications equipment that utilizes solid state data storage. We encourage you to review our Safe Harbor Express (SHE) annual scheduled secure destruction agreement. This agreement simplifies your administrative control for the destruction and disposal of obsolete data media and offers substantial dollar savings. We have the tightest environmental and data privacy regulatory certifications in the computer recycling Industry. With 25 plus years of experience, we have developed handling processes that are the most efficient and secure within the industry. With over 1000 satisfied customers in the Northeast we are confident that we will meet and exceed your expectations.